On this tour you will be picked up from the hotel in our comfortable 12 seater minibuses and driven through the stunning Waikato countryside on a fully guided journey to Waitomo caves. During the journey to Waitomo you will encounter New Zealand's longest river, beautiful mountains and many different farm animals along the way. Once in Waitomo you can choose between several of the Waitomo caves or upgrade to Black Water Rafting for a real adventure. 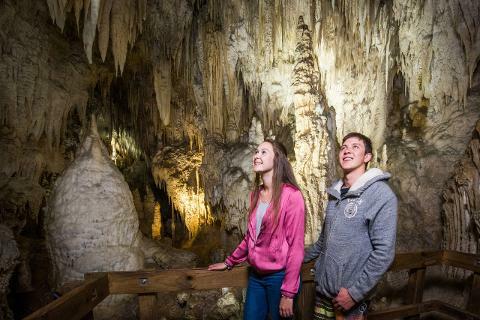 Duringyour chosen cave tour you will explore the ancient and amazing caves seeing many different cave formations including Stalactites, Stalagmites and lime Columns before encountering thousands of the famous Waitomo Glowworms which are unique for New Zealand for over 120 years above your head. 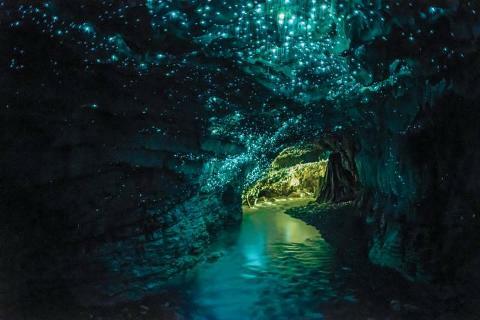 Waitomo Glowworm caves are a must see for any traveller. 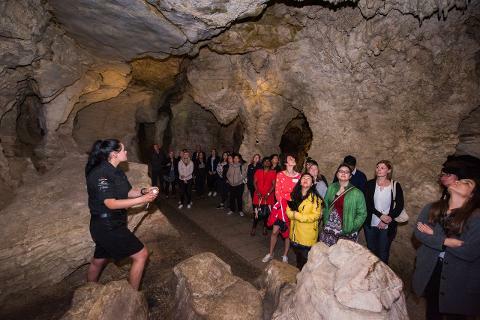 For those of you that choose the short tour at Waitomo you will have free time after your tour to explore the area and maybe even do one of the walks to add to your experience. After your Waitomo Caves tour you will also have the option to have lunch in the town or join us at Roselands for a delicious Kiwi BBQ buffet lunch. After lunch our friendly guides will return you to Auckland pointing out more interesting sites on the way. 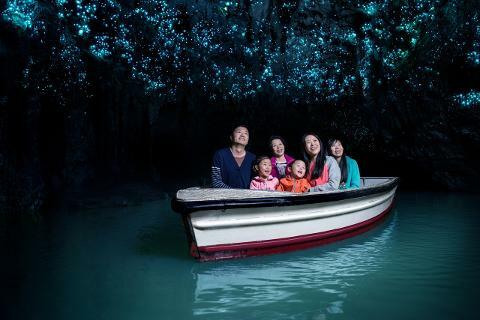 World-renowned and a magnet for both local and overseas visitors, the Waitomo Glowworm Caves occupy a high placing in the New Zealand vacation wish-list. 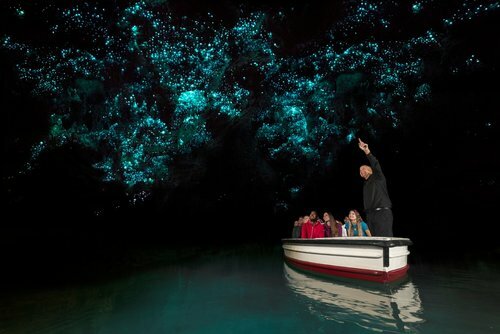 This tour is a 45 min tour including the famous Glowworm Grotto Boat Ride. On the glowworm grotto boat ride you will marvel at Mother Nature's light display as you glide silently through the starry wonderland of the Glowworm Grotto.